(Beijing, 18 January 2014) Delegation of the Ministry of Energy, Development and Environmental Protection of the Republic of Serbia, led by Deputy Minister Dejan Trifunović, which included director of the “Kostolac” Power plant Dragan Jovanović and advisor Ms. Olivera Matić Brbora, visited the People's Republic of China from 12 to 17 January 2014, regarding the activities on the project of construction of “Kostolac B” Power plant. During the visit, the delegation met with the representatives of EXIM Bank and CMEC and had talks about current work on the first phase and the preparations for the second phase of the construction of the Power plant. 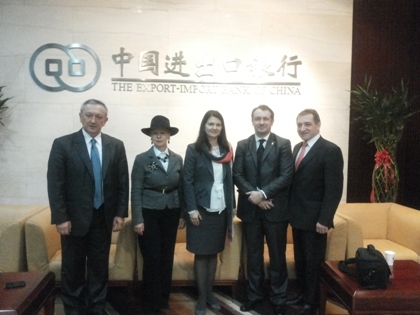 From the Embassy of Serbia in Beijing, Charge d' Affaires a. i. Mrs. Tatjana Panajotović Cvetković and minister counselor for economic affairs Zoran Djordjević were also present at the meetings.